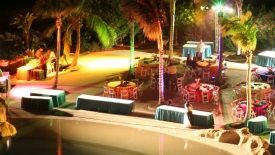 Special Event, Wedding, Party, Concert Insurance in Galveston Texas - Henry Freudenburg Insurance Agency, Inc. If you're planning a special event in Texas, we have special event insurance to protect against those unexpected incidents. At Henry Freudenburg Insurance Agency, Inc., we can tailor a package that will cover your wedding, rock concert or athletic competition. Contact us today at 409-744-7111 for a quote for your special event insurance. We can search our companies for low premiums, extended coverages options and even exhibitor insurance if needed.